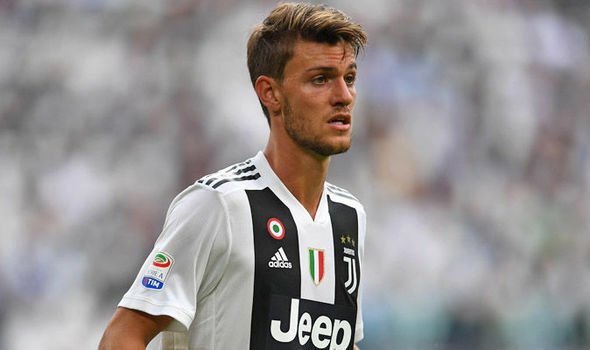 Daniele Rugani's agent has confirmed Chelsea have made a "pretty big offer" for his client, but Juventus are unwilling to let him go. Italy international Rugani -- who won the Serie B Player of the Year under Chelsea boss Maurizio Sarri at Empoli in 2013-14 -- appeared close to making a move to Stamford Bridge. However, Davide Torchia, his agent, claims Juventus don't want to sell him because they see him as an important player. "I can tell you the truth about Daniele," Torchia told Radio Vecchia Signora when asked about Chelsea's interest. "Sarri holds the player in very high esteem. "Chelsea have put their support behind this transfer the manager is asking for, and they have made a pretty big offer, which Juventus are aware of. On the other hand, Juventus have several times so far been very clear and have repeated their resolve not to sell the player because they deem him important. "And they have consistently done this throughout these past years."